Through its economic activity, GRAUX is uniquely placed as a coordinator of professional skills at the service of industry. In exchange for his/her skills, GRAUX enables all members of the personnel to benefit from a reliable and lasting source of revenue. Careful management, focused on results and client satisfaction, enables GRAUX to respect all of its internal and external financial commitments while freeing the necessary funds required for investment. Since day one, GRAUX set itself on a mission to satisfy its clients while maintaining the highest level of technical skills in the sectors in which it specializes. Its consistency over time can be explained by the capitalization of its experience and ability to adapt to the continuous changes in the technical, legal and normative environment. The quality of its products and services and the great client satisfaction can be explained by the value provided by its employees. Graux is connected to nature. Located at the heart of the Chimay Fagne, the company is situated in a green setting that has allowed it to grow. Specific actions for the economic management of waste, energy and water means that it respects its environment and aims to leave no harmful trace of its activity on its environment. 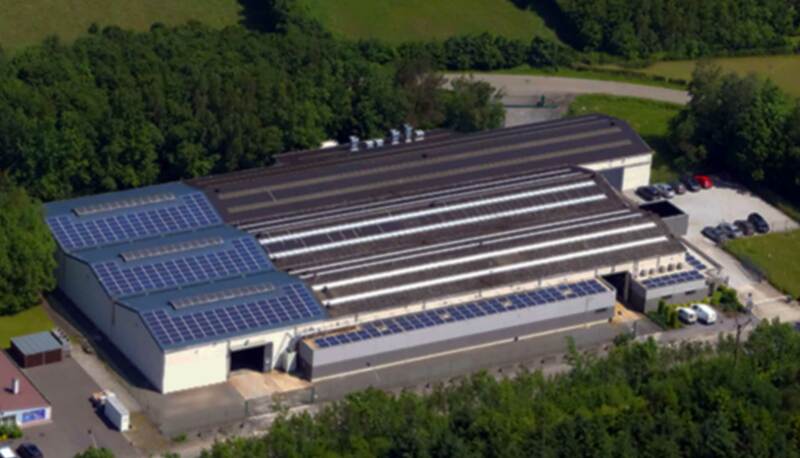 343 solar panels can produce 100 Mwh/year. GRAUX commits to exchanging all aspects related to the completion of orders with our partners. GRAUX commits to not developing any conflictual situation on the basis of differences observed during the dispatching of the order. Every member on GRAUX’s staff strives towards and enjoys a job well done. Every member on GRAUX’s staff is committed and contributes to good internal communications. Every member of GRAUX’s staff is one of its ambassadors; exemplary behavior upholds the morals and values of the company. Each employee is conscious of the image they give. GRAUX commits to carrying out the orders while respecting all international norms and standards. GRAUX commits to supporting the personal development of its employees. Every project entrusted to GRAUX is methodically analyzed in its smallest details. This systematic approach is the guarantee of a very high quality standard. Graux’s staff works in a structured manner following processes defined by ISO 9001, to ensure the watertight management of your project. All the energy and skills at GRAUX are focused on the goal to reach, in terms of quality as well as price and delivery time. The experience and pragmatism of GRAUX make the impossible possible. Every plan, every detail is thought out in terms of deliverables in order to obtain an optimized result that meets the clients’ final needs. Communication is key in defining all the possibilities, which are systematically validated by the client. GRAUX shares with its clients, teams and partners, all the information required for the success of the entrusted project, while strictly respecting the related confidentiality aspects. In terms of manufacturing, GRAUX presents all the available options to its clients, looking particularly at a quality-price optimization. So the client can then choose the options that best suit their needs at that time. Looking for a highly qualified manufacturer? Graux provides expertise in the manufacturing of subsets and sets of special machines.